Group travel is a great option to get away with more people than just your family. 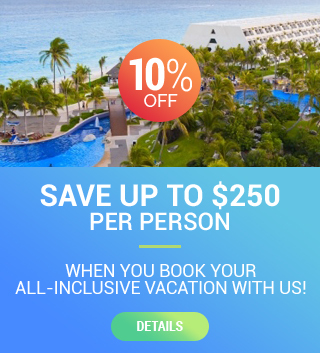 If you’re tasked with planning a fabulous getaway for your friends, a family reunion or a corporate retreat, there are many benefits of booking group travel with Apple Vacations. Our Agents are specially trained to help assist you in the group travel planning process and, can help you save hundreds of dollars on popular destinations, and will help you get the biggest bang for your budget. There are a couple of options when it comes to group travel that may be the proper fit for your budget, and needs. Option one is Traditional Group Bookings. If you are planning on having a group of ten or more, this may be the best option for you. Some of the bonuses of booking a traditional group booking is that you will enjoy a lenient deposit policy, optional Group Vest Price Guarantee, and free comps. Free comps could include a free trip for the twenty-first adult passenger, meaning their air fare, and hotel would be completely covered! Group Togetherness is also a bonus, and will keep your party as close to each other as it possibly can. Uniformed Apple Resort Representatives are on duty daily, and will be happy to help you and your guest have a flawless, and perfect trip. “Group-Ease” bookings are for all groups, and are extremely flexible. Each vacation can be booked individually through Sun n Beach Travel. We will receive a promotional code, and apply it to each reservation when the calls are placed to plan the trips. Group Ease bookings are still eligible for some of the promotions mentioned above in option one. The promotional code is valid for air-inclusive pacakges that use our exclusive vacation value flights. With Group-Ease travel you have flexible insurance options for your trip, including the AV-OK Plus plan with our Best Price Guarantee. If you are looking for a no strings attached travel plan, just remember this plan has no group contract required, but plans do follow Apple Vacations FTC policies for booking, payments, changes, and cancellations. Live your dream, and have a fairy tale wedding in an unbelievable location. Whether youwant to say your vows in a private ceremony with your toes in the sand, or on the Italian Countryside with friends and family Apple Vacations can help you plan your special day, no matter how far away. please your employees and clients alike. Nearly every destination that Apple Vacations services include renowned golf courses, and amazing lush greenery perfect for any golf lovers. Gather the guys for the ultimate golf outing, and immerse yourself in the entire experience of a true golf vacation. Thinking of throwing the best bachelor party for your golf loving best friend, hit a hole in one, and impresses everyone with a fabulous Apple Vacations Golf Package. Perhaps a family reunion is well overdue, and no one wants to make the trek out of town unless it’s well worth it, well with Apple Vacations group travel, that would not be hard to achieve. Gather as many of your family members that you can, and invite them on a trip to a tropical paradise. Stay at a resort, or fill the biggest fully staffed villa you can find, and enjoy quality family time, while soaking up the sun, and sand. A unique group vacation option is to fill a Villa with your closest friends and Family members. Villas are located in gorgeous locations like Europe, and Mexico. A full staff will be there with you to meet your every need while you live in luxury and style.